Workout supplements play a significant role in building muscles. The effects of these supplements are very clear. If taken in a suitable quantity, workout supplements will prove to be very beneficial. The best way of building your muscles is taking proper food along with a proper quantity of workout supplements. Before starting consumption of workout supplements, visit website to check the essentials vitamins and other necessary nutrients which are required for building body and then go with that supplement which contains all those necessary nutrients. During workout, having more energy level is an add-on benefit. This boost in energy level comes from one main ingredient – caffeine. Caffeine acts as a stimulator and keeps you energized so that you can do all your task including your workouts with more endurance. A work out supplement containing a suitable amount of caffeine keeps you charged and powerful. One of the biggest reasons for using workout supplements is that they improve your workout performance and efficiency. In building muscles, a workout supplement helps you to perform your training sessions with high efficiency and durability. It gives you energy, power and stamina to build your muscles efficiently. Work out supplements not only helps in increasing physical performance, but they also have mental benefits too. These supplements make you sharper and more focused. For an athlete or fitness person, losing or gaining his/her mental focus is easy. For this, a workout supplement with caffeine is important to make the person focused on his task. Muscle soreness and fatigue are common during a workout and it can affect your performance in the gym. You may not be able to recover quickly from the pain of muscle soreness. 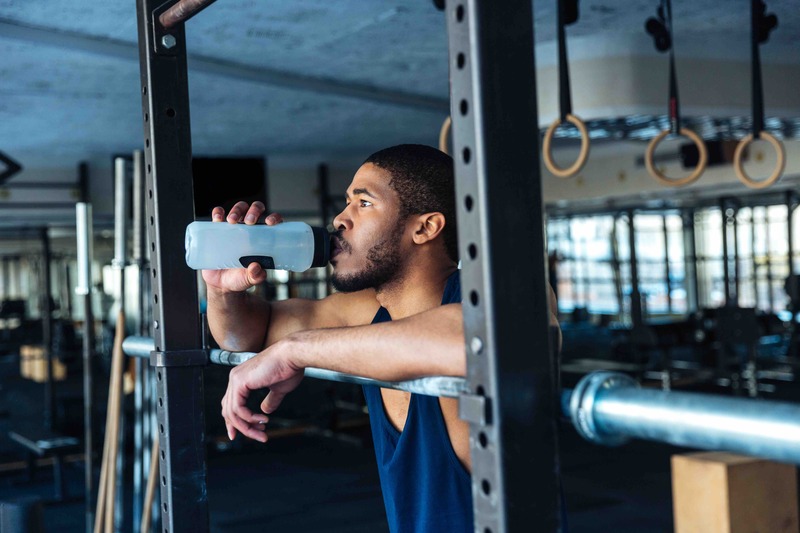 Ingredients in your workout supplements like caffeine, beta-alanine and creatine can help you in recovering from muscle soreness very quickly. Caffeine containing workout supplements help in burning excess body fat at a higher rate during workouts. Caffeine is considered as an active fat burner. It also helps in building strength level. So, a workout supplement containing caffeine as one of its core ingredients is very much beneficial for your workout routine. The ingredient like nitric oxide in your workout supplement is beneficial for making you tough and strong during your training sessions by widening the blood vessels, which results in delivery of more oxygen to your muscles so that you can perform better. Some research has shown that protein compounds like amino acids can reduce the number of your muscles breakdown during workouts. So, it is easy for you to bounce back from the tough training sessions very quickly. Workout supplements can reduce the muscles breakdown and can heal your pain also. Glucosamine is a workout ingredient which is found in the fluid around the joints and plays a significant role in cartilage building. According to some researchers, glucosamine may help in the treatment of osteoarthritis. For a bodybuilder, consuming the essential nutrients is very important part of his/her workout process. The whole process of building muscles will fail if intake of proper food is not done. The consumption of multivitamins in your daily diet can have a good impact on your body. Supplements with multivitamins promote good health and provide a constant flow of energy. These are the advantages of using workout supplements. Use supplements in limited quantity so that you can gain a healthy and fit body without any side-effects.